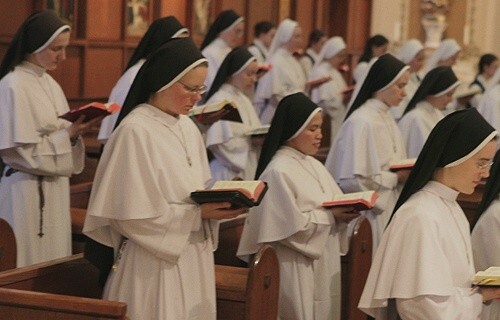 February 2, 2019 In 1997, Pope Saint John Paul II instituted a day of prayer for women and men in consecrated life. This celebration is attached to the Feast of the Presentation of the Lord on February 2nd. This Feast is also known as Candlemas Day; the day on which candles are blessed symbolizing Christ who is the light of the world. So too, those in consecrated life are called to reflect the light of Jesus Christ to all peoples. The celebration of World Day for Consecrated Life is transferred to the following Sunday in order to highlight the gift of consecrated persons for the whole Church. View or download the pdf version to print out and share with family and friends.